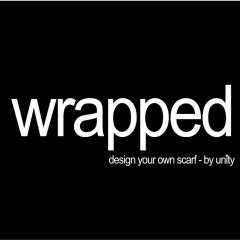 Our Wrapped Personalised Scarves - we can print a scarf using your own image or your initials. Printed on luxurious Silk Modal, Rolled edges & Gift Boxed. At Wrapped we can cater for your desire to create your own Individuality or create a special gift. For casual attire the scarf is adding an element of sophistication or maybe an extra layer of clothing.